Robot-assisted surgery is widely adopted for many procedures but has not realized its full potential to date. Based on human motor control theories, the authors hypothesized that the dynamics of the master manipulators impose challenges on the motor system of the user and may impair performance and slow down learning. Although studies have shown that robotic outcomes are correlated with the case experience of the surgeon, the relative contribution of cognitive versus motor skill is unknown. This study quantified the effects of da Vinci Si master manipulator dynamics on movements of novice users and experienced surgeons and suggests possible implications for training and robot design. 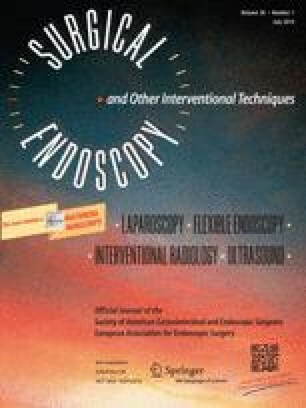 In the reported study, six experienced robotic surgeons and ten novice nonmedical users performed movements under two conditions: teleoperation of a da Vinci Si Surgical system and freehand. A linear mixed model was applied to nine kinematic metrics (including endpoint error, movement time, peak speed, initial jerk, and deviation from a straight line) to assess the effects of teleoperation and expertise. To assess learning effects, t tests between the first and last movements of each type were used. All the users moved slower during teleoperation than during freehand movements (F 1,9343 = 345; p < 0.001). The experienced surgeons had smaller errors than the novices (F 1,14 = 36.8; p < 0.001). The straightness of movements depended on their direction (F 7,9343 = 117; p < 0.001). Learning effects were observed in all conditions. Novice users first learned the task and then the dynamics of the manipulator. The findings showed differences between the novices and the experienced surgeons for extremely simple point-to-point movements. The study demonstrated that manipulator dynamics affect user movements, suggesting that these dynamics could be improved in future robot designs. The authors showed the partial adaptation of novice users to the dynamics. Future studies are needed to evaluate whether it will be beneficial to include early training sessions dedicated to learning the dynamics of the manipulator. We thank Taru Roy and Sangram Patil for assistance with the experiment. This study is supported by a competitive Intuitive Surgical, Inc. Technology Research Grant to Allison M. Okamura and Michael H. Hsieh. Ilana Nisky is supported by the Marie Curie International Outgoing Fellowship (FP7-PEOPLE-2011-IOF Project 300393) and the Weizmann Institute National Postdoctoral Award Program for Advancement of Women in Science. Ilana Nisky, Allison Okamura, and Michael Hsieh have no conflicts of interests or financial ties to disclose.